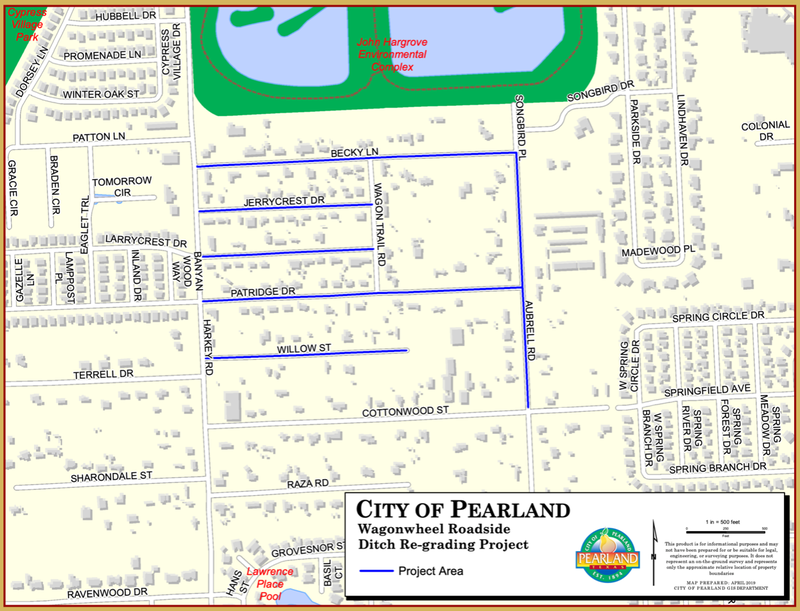 The City's open drainage network requires regular maintenance and this project has been identified as a critical area for service due to the nature of the open system's function to convey runoff to major drainage discharge points. Becky Ln. : from Harkey Rd to Aubrell Rd. Project activities are weather dependent and subject to change. Drivers should be aware of heavy equipment and construction personnel in the vicinity of the worksite, and be prepared for delays resulting from the construction work. This work however, should not interfere with access to any surrounding properties or businesses. The City urges all drivers to exercise caution while in the area and obey all traffic controls and flaggers.